The last four days have been very good to me. I got hawls from my family, Frosted, and Navyeagleeye! First up, a GT Autos Pagani Huaruaryuayruayruaya! I was surprised to get this one, as I wasn’t really asking for (although my parents knew I was close to getting it in the past). I had passed on it previously due to indecision about the color and highly varied pricing, as well as minor quality quibbles. So what do I think? It’s stunning. It’s definitely in the top 5 models of my collection (especially impressive when you think some of the other top 5 are CMC, GMP, AUTOart Signature, etc). The color is deep and vibrant, with an almost spectaflame look to it. If you like the Huayra, do yourself a favor and buy it! You will not regret it. Next is Paragon BMW M6. Another somewhat unexpected car, but very pleased with it! The detail is on par with older AUTOart, which is pretty good considering the price point of around $80. Engine detail caught me off guard, as I was expecting a plastic lump a la Norev. But no, there’s multiple pieces and lots of depth. So well done Paragon. Besides both mirrors falling off and essentially non-rolling wheels, the quality is very good as well. Overall, I would definitely recommend to a BMW or 6-Series lover! 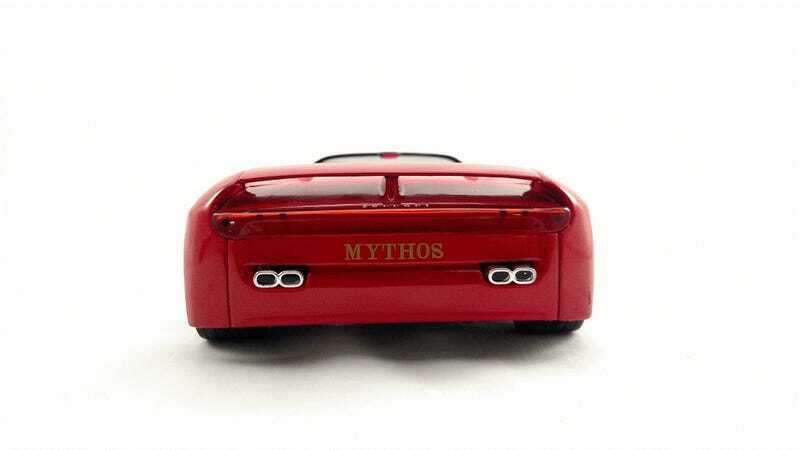 The next car is the Revell Pininfarina Mythos. I have only heard of this car thanks to our resident concept car collector, Sn210. The movable spoiler is obviously the coolest part of it. Despite it’s age, it is pretty good, although both the engine and interior are typical early ‘90's plastic-fantastic. Finally, we have the odd-ball of the bunch. 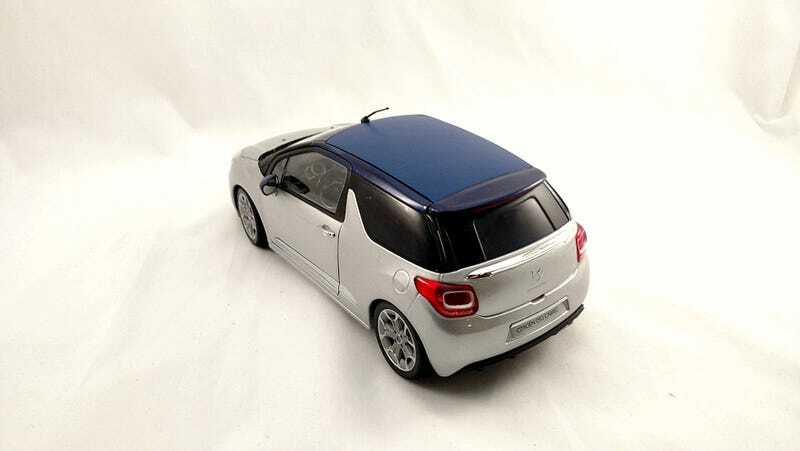 It’s a Citroen DS3 Cabrio by Norev and it’s a fantastic model, especially considering a price of $45 or so. The detail overall is shockingly good, dare I say as good as certain Minichamps or Kyosho! The interior is very good and very blue, which makes a car a winner in my books. You have awesome folding roof action! There are 3 sections of roof, all up, half up, or all down. It’s a fun little car that packs a lot of detail into a small package! Look for more in depth reviews of these and other 1/18 soon!